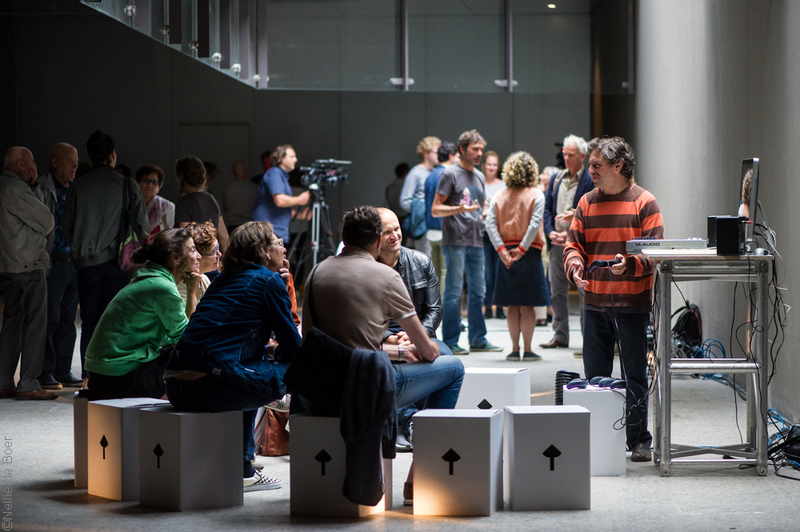 Loop-Copy-Mutate is a concert in which the audience has an essential part in creating the music. 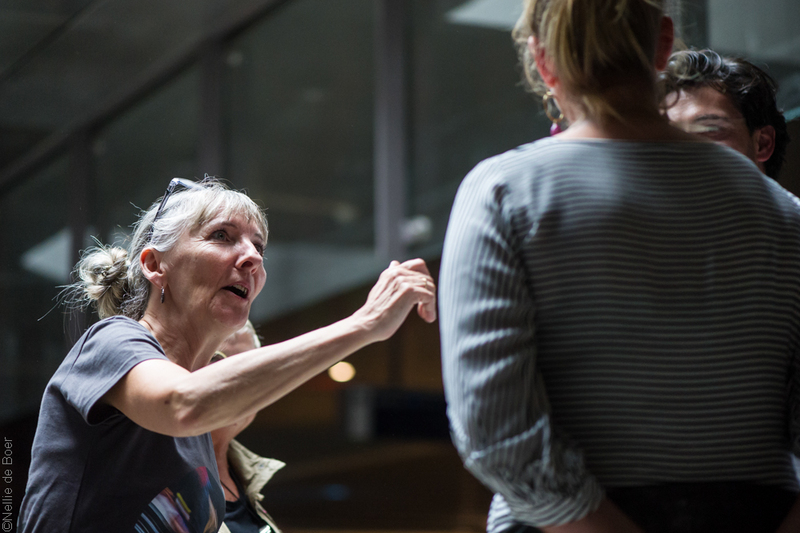 Led by singer and artistic director Thomas Johannsen the Genetic Choir directs our ears towards something urbanites often take for granted: city sounds. 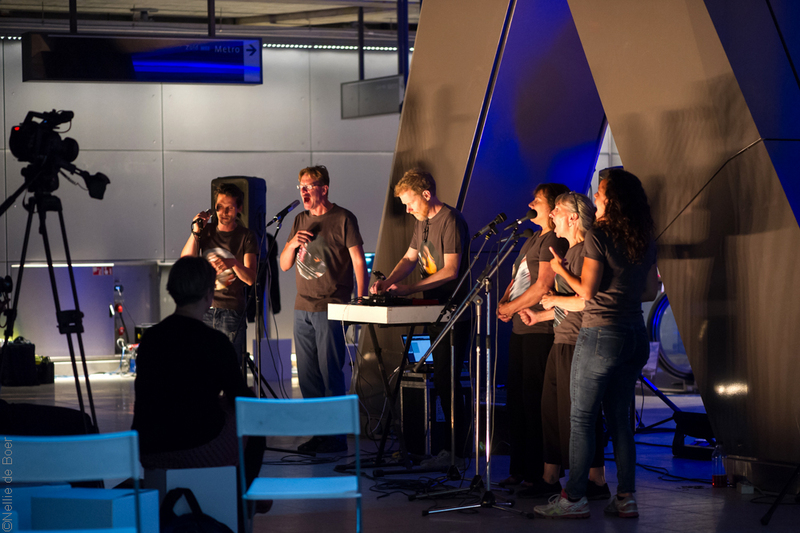 Together with laptop artist Robert van Heumen, programmer Stelios Manousakis, and the public, the choir transforms sampled city sounds into voice and music compositions. The project toured the Netherlands in 2016 and 2017 with performances in Amsterdam, Leeuwarden and Eindhoven. GET INVOLVED: Our year-long Loop-Copy-Mutate concert series is now concluded, but you can still get involved! Learn more about how you can contribute a sound to our Freesound database, lead your own soundwalk and interact with our open-source software. 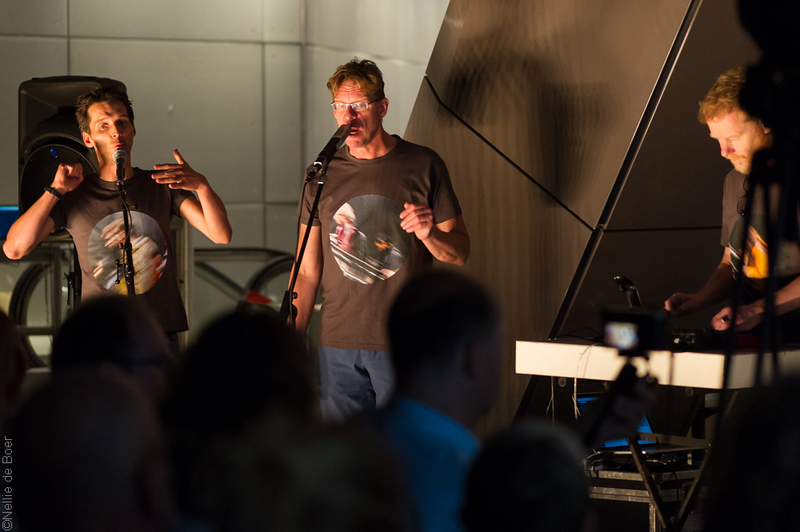 AMSTERDAM PREMIERE: The première of Loop-Copy-Mutate was held on 2 July 2017 in the new Noord/Zuidlijn metro station beneath Amsterdam Central Station. Watch a video clip from the performances here (courtesy of Gemeente Amsterdam). See press coverage on the event. For more background information on the Loop-Copy-Mutate project click here. I really would like to join this fascinating Loop Copy Mutate-project. I am a composer and arranger of acoustic as well as electronic music, vocal as well as instrumental music. Thanks for your interest in the project! There will be more information to come soon. You can also email me at meagan.mtbc@gmail.com with any questions in the meantime!